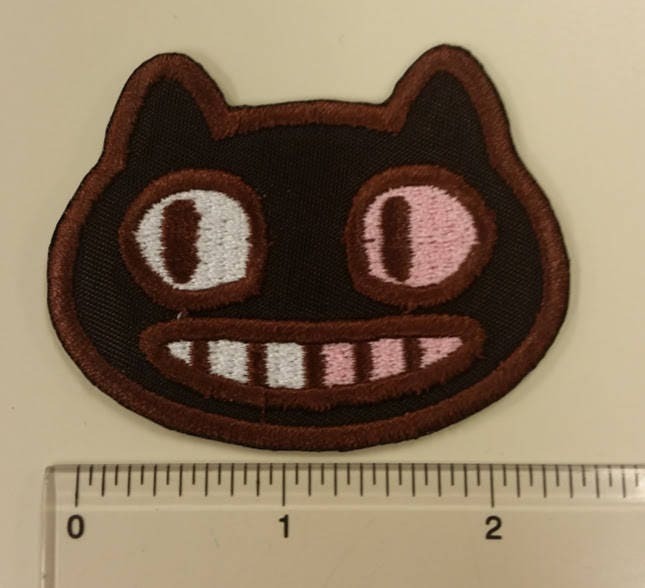 This cute cookie cat inspired patch is made with an applique brown patch twill. 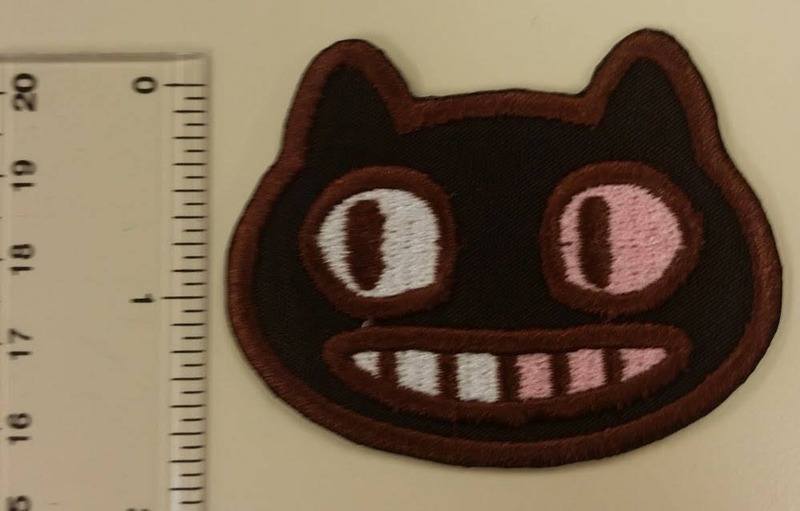 It is sewn with brown, pink and white thread. It measures approximately 2.5" wide by 2" H. It has an iron on adhesive back to make application easier. It would look great on any of your gear or apparel. 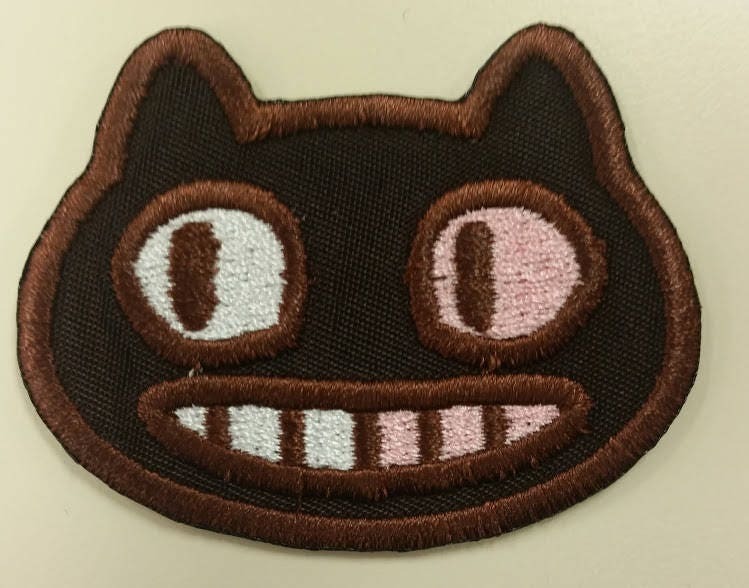 The patch will be mailed to you 2-5 business days after you purchase them. First class USPS shipping for United States customers.